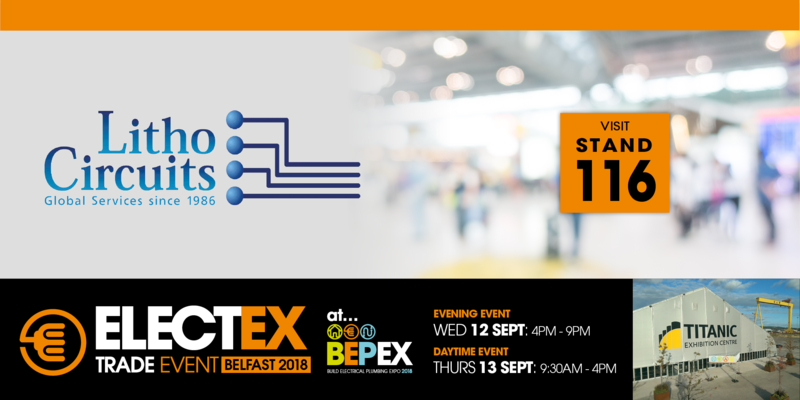 Litho-Circuits will be at the Electex Belfast show 2018 on the 12th and 13th of September at Stand 116. Visit us at Stand 116 where there are a number of offers available on our products and where you can view our Award Winning LED Lanterns. Feel free to drop by and have a chat!